They say Alice Guy (Alice Guy-Blaché) made over 600 movies between 1896-1920. Sure, a lot of these films were under 15 minutes, and she did have her own studio. Even so. Over six hundred movies. Although Guy’s work is slowly gaining more recognition through recent publications and a biopic Kickstarter campaign, she remains largely unknown. Now, we’re not saying Guy should be popular just because she first became a director at the age of 23, or that she was head of production at France’s Gaumont Company for 11 years, or that she emigrated to America with her husband to establish their own studio (The Solax Company) in 1910 at Fort Lee, New Jersey’s fledgling film colony. We’re also not saying she should be popular because she’s regarded as the first female director, or made movies where women had as much screen time as (if not more than) men, or that she was a filmmaking pioneer who explored the use of colour, special effects and sound. We think she should be popular because her movies are wonderful. Happily, Flicker Alley thinks so, too, because they’ve introduced Alice Guy: A Female Pioneer. This newly-mastered collection, streaming on Vimeo, beautifully showcases Guy’s techniques with three touching and amusing films. We’ve reviewed Falling Leaves before, but we want to discuss it again because the newly-mastered version, in our opinion, makes the film fresher. This charming film is about a girl who discovers her older sister is not expected to live through autumn (“When the last leaf falls…”). The girl reasons she can prolong her sister’s life by re-attaching fallen leaves onto trees. First of all, the mastering on this film is lovely. We can more clearly see the detailed sets, including a window that reveals rapidly falling leaves as the family receives the bad news about their eldest daughter. This new version also emphasizes the complexity of Guy’s scenes: Characters in the background are frequently involved in a different activity than those in the foreground. 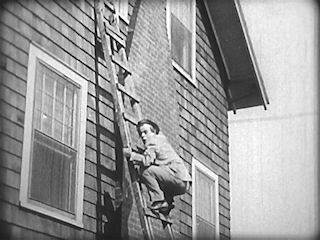 This was a pioneering technique for the period, one that is common in Guy’s films. However, the boyfriend is resourceful. He dons a wig and sticky facial hair, and triumphantly returns to his girlfriend’s house posing as “Signor Tremelo, the great violinist”. He then gives a faux performance on a violin while his girlfriend plays a phonograph hidden under the table. Tellingly, the disguise changes the young man’s demeanour; he is more flamboyant and confident in the presence of the girl’s beaming father. Guy proves she’s every bit a comedic master, not unlike a Buster Keaton. She was merrily unafraid to construct an outrageous scenario, then run amok with it. Misunderstandings nearly lead to divorce in the comedy A House Divided. When a husband and wife each suspects the other of having an affair, they hire a lawyer and sign an agreement whereby they “live separately together”. This means they must not communicate with each other, except through notes and letters. A House Divided proves Guy to be a clever and empathetic filmmaker. She doesn’t take sides with these characters; she leaves them to be who they are. Sadly, Alice Guy’s filmmaking career was short-lived. By the early 1920s, many film studios had moved from New Jersey to California, and Guy returned to France. In 1953, she was awarded the Legion of Honor. 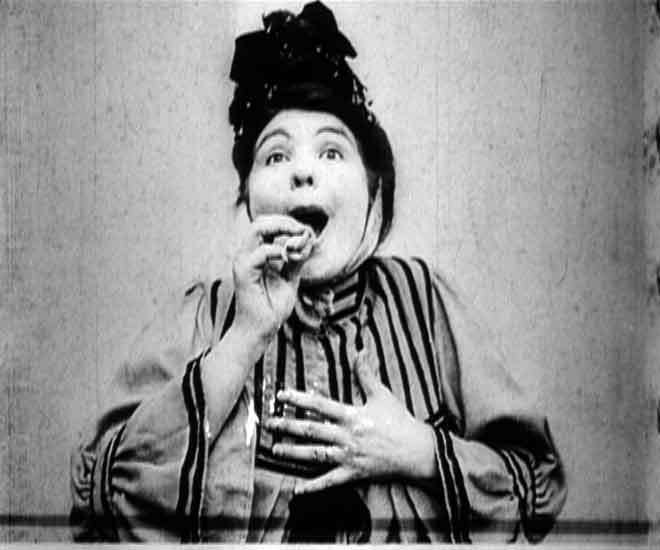 If you would like to see more of Alice Guy’s work in a newly-mastered format, you must see Alice Guy: A Female Pioneer. Alice Guy: Female Pioneer Presented by Flicker Alley and the Blackhawk Films® Collection (and Ms. Guy herself), B&W, 46 mins. 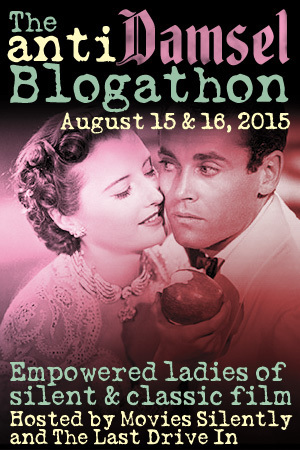 This post is part of The Anti-Damsel Blogathon co-hosted by The Last Drive-In (Saturday) and Movies, Silently (Sunday). 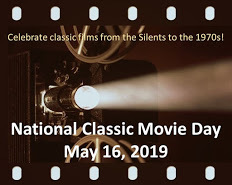 I’m not a big silent film fan for many reasons, but I’m certainly not prejudiced against them, especially if someone recommends one to me and they make a good argument. I’ve heard of Alice Guy but for some reason I always assumed she made dramas — thanks so much for correcting that! I’ll definitely keep my eye out for her work. Thanks again! Her comedies are really fun – at least the ones I’ve seen. I think her film “A House Divided” is one of my new faves! Wonderful post about an important director and trailblazer for women. Thanks! Alice Guy is so darn talented, and she deserves more recognition. Fascinating article about an important woman in film that I have never heard of … I hate when that happens! From your reviews and information about her, I need to bone up on her work and see some of her movies! She’s an easy person to become a fan of. Her films are short and charming, even moving ones like “Falling Leaves”. You can’t help but fall in love with these films. What a great post! This is someone I want to know more about and will be checking out that DVD. Many, many thanks. Yay! So glad you’ll be exploring Alice Guy’s films. Each one is a real treat. It appears you have unearthed a true dive for this event, are you involved with the kickstarter project? Thank you for sharing what seems to be a great unsung heroine of silent cinema! Thank you for sharing your great discovery. Ha ha! Yes, I’m intimately aware of the wonders of auto-correct…some of mine have been soo embarrassing!! Anyway, Alice Guy is superb, in my opinion. I’m not involved in the Kickstarter campaign, but you’ve got me thinking about it. Great idea! Thanks so much for joining in with this wonderful look at just what made Alice Guy such a charming filmmaker. Her movies have so much humanity and it makes them timeless. I am glad that posts like yours will spread the word about her talents. Timeless is exactly right when it comes to Alice Guy. I can’t believe how fresh the situations and the characters appear – more than 100 years later! Fantastic post. It’s a shame that so many women directors of the silent era are forgotten. Wonderful post! Women had many important roles behind the camera during the silent film era, and Alice Guy is an inspiration for any filmmaker and strong woman on Earth. I really want to watch A House Divided! I always learn so much from you, Ruth! I had no idea movies were being made as early as 1896. I am also in awe that a woman was directing at that time. That’s amazing to me. I liked her short film Falling Leaves. I think her other ones sound good, too. She really must have been an interesting, creative, and brave person to do what she did! Isn’t it amazing to think that there were actual movies in 1896? It kinda blows your mind. Shari, you must MUST watch “A House Divided” if you ever get the chance. I think you’d really like it. I’ll put it on my list. Thanks, Ruth! You already know I’m fully on board with this post 🙂 Alice Guy deserves to be better known – and I’m happy that posts like this (and the Kickstarter campaign) are bringing her name back. As you say, she needs to be recognised on her own terms, not just because she’s a female filmmaker. Thanks for sharing that Flicker Alley documentary, fingers crossed I can find it in the UK! Yes, I hope you can access the Flicker Alley film! The mastering work that was done is gorgeous. “Faling Leaves” makes me cry every time. I’d like to see the comedies for balance. Alice Guy led such a wonderful life. I hope the biopic gets made. I’m hoping the biopic gets made, too. Her comedies are so funny. I absolutely adore “A House Divided”. “Falling Leaves” gets me every time, too. A beautiful story that’s beautifully filmed. Hi, so glad to see this excellent article! Definitely count me as one of Alice Guy-Blaché’s admirers. A House Divided and Matrimony’s Speed Limit are both favorites of mine, as is Falling Leaves. I’ve watched all three of these over and over. Another one I really like is The Ocean Waif (1916). Doris Kenyon and Carlyle Blackwell are excellent in this. The story is really appealing, and there are some magical moments. The film does have a good bit of decomposition and is missing what seems to be some key footage toward the end a good bit of footage—but I love it anyway, and am thankful that we have as much as we have. And the Kino dvd version has the score by Jon Mirsalis—one of the most beautiful—actually *the* most beautiful silent piano score I’ve ever heard. Thanks for this excellent write-up! Thanks for the heads up re: The Ocean Waif. I’m going to suss it out online (hopefully). Must find the Kino DVD too! Thanks for dropping by, and for your kind words. I wonder, too, what would have happened if Alice Guy has remained in the U.S. She taught and lectured for many years after her return to France, so there were likely many who benefitted from her experience. As for the O Henry story, it is quite similar to the film, no? But I couldn’t conclusively prove if the movie was based on the story, so I left it out. 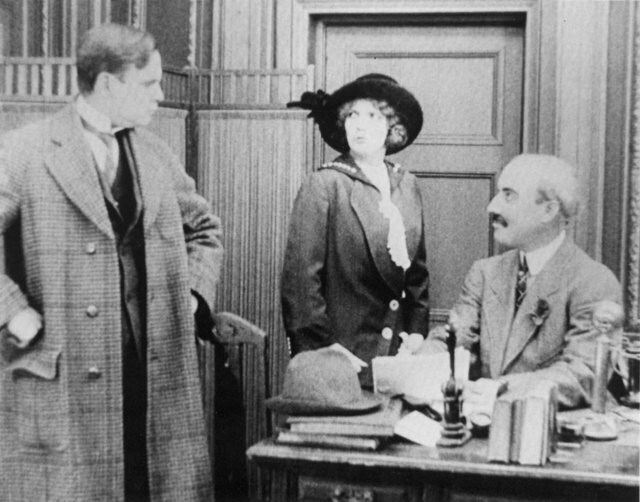 I saw ‘Falling Leaves’ at the cinema the other day, as part of a programme of silent shorts by female directors presented by the new Suffolk Silents society. Will watch out for more by Alice Guy in the future! You saw it on the big screen?! Nice! Thanks for the info re: Suffolk Silents Society. I looked them up online. Sounds like a really interesting organization.